Visitor visas allow you to stay in New Zealand as a visitor and/or to visit your friends and family. 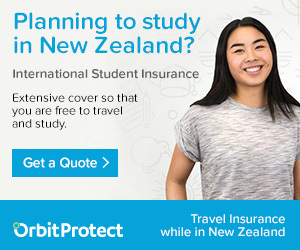 This visa allows you to study in NZ for up to 3 months. To apply for this visa, you will need to have enough money to support yourself while you are in NZ. They are best suited to people wanting to stay in New Zealand short term. During your stay, you may visit family and friends and enjoy New Zealand’s scenery, culture, and tourist activities. There are different types of work visas. The most common type of work visa is the Essential Skills work visa. To apply for this visa you must have a job offer from a New Zealand employer. INZ will assess the skill level of occupation of your job offer, and also whether you have a relevant qualification(s) and/or work experience(s) which is comparable to the description for the occupation on ANZSCO. The duration of the visa will depend on the skill level of the job and your wage. NZII highly recommends you consult with our expert immigration advisors if you are uncertain in regard to how to apply for a work visa under these instructions. Working Holiday visas allow young people from various countries to come to New Zealand to study, work and visit. You must have sufficient funds to support yourself and meet health and character requirements. Working holiday visas are normally only for up to 12 months, but if you are from Canada or the UK you may be eligible to stay longer. You need to apply for a study visa If you are coming to NZ to study for more than 3 months. We can help you with all the documentation to apply for study visa to NZ whether onshore or offshore. We work in collaboration with various reputed institutes in NZ and we have all the required knowledge of studying and living in NZ. Thus, we can help you to get offer letter from any of the reputed education providers for studying diploma/bachelor/graduate or degree courses. If you are in a relationship with a New Zealand citizen or resident, then you may be able to apply for a partnership-based visa. You can apply for a temporary visa, such as a visitor visa or work visa, based on your relationship if you can demonstrate that you are living together in a genuine and stable relationship. If you have been living together in a relationship for at least 12 months, then you may be eligible able to apply for residence. The skilled Migrant category visa is for those people who have the skills to contribute to New Zealand’s economic growth. A point-based system is used to assess Expression of Interest (EOI). Points are awarded for client’s age, qualifications, Skilled experience and skilled employment in NZ. After a successful expression of interest, a successful candidate will be invited to apply for residence. If your application is successful you will be able to live and work in New Zealand indefinitely. You must also meet health, character, and English Language requirements. In accordance with the principles of fairness and natural justice, applicants for Visas are given the opportunity to comment before a decision is made on the basis of any potentially prejudicial information (PPI). Such decisions are important because if all the facts are not presented properly or any important information is not made available, the decision can go against the applicant and he or she would then be unable to get a Visa for New Zealand. We help you draft replies to PPI letters issued by Immigration office of New Zealand to help your case. We are happy to provide advice and assistance to employers to bring migrant workers to Nz for their NZ based business. We can assist with individual visa applications for your employees or with employer specific applications. You may be interested in becoming an Immigration New Zealand Accredited Employer or in applying for Approval in Principle (AIP) to recruit overseas workers. If you are in New Zealand unlawfully, then you are able to request a visa under section 61 of the Immigration Act 2009. This is known as a “section 61 request.” Section 61 of the Act basically provides an avenue for people who are in New Zealand ‘unlawfully’ to get back onto a lawful visa. Decisions under Section 61 are granted under absolute discretion of the Minister of Immigration. Being unlawfully in NZ is a very serious thing, as you are unable to work or study, and you are liable to be deported at any time. Therefore, it is very important that you have a valid visa. Presenting a well-argued and documented request to Immigration New Zealand explaining your personal circumstances is key. We have prepared many successful section 61 requests and would love to help you too. Despite all the visas mentioned if you are unsure about which visa to apply for or you want to check whether you will meet the requirements of a particular visa category, then we can carry out an eligibility assessment for you. Once we have all the required information that we need from you, we will provide you with a written report about your options and eligibility.